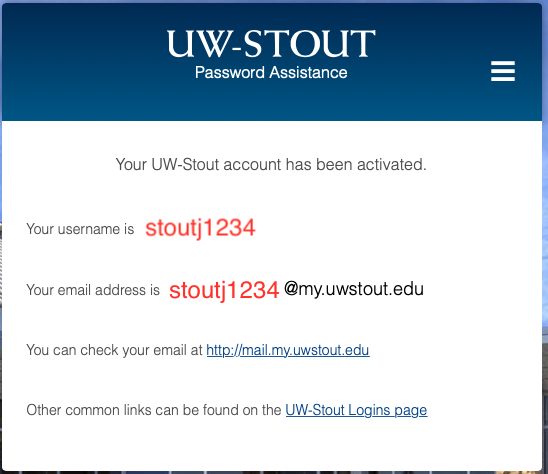 This document explains the process to activate your Stout account. 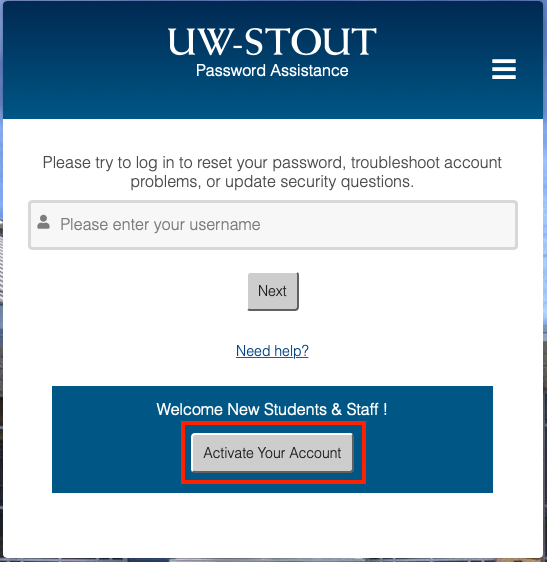 All new students, faculty, and staff are required to activate their UW-Stout account in order to establish the credentials (username and password) that will be used to access resources such as email, Access Stout, and Learn@UW-Stout. 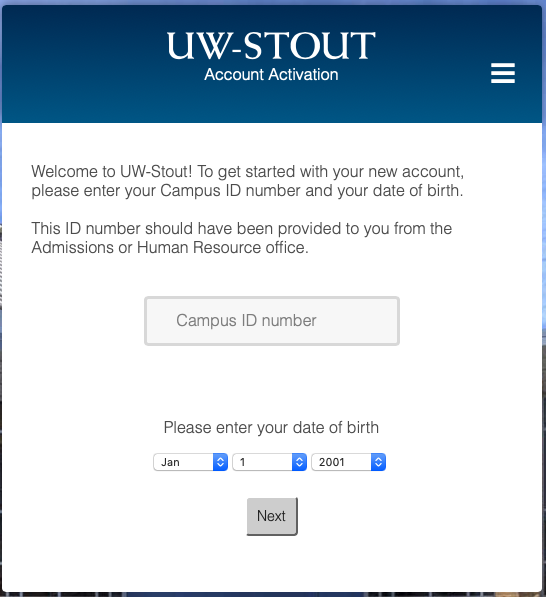 Enter your 7-digit Campus ID number and date of birth. Click Next. Read the terms and conditions. Click I agree. These will be used in the event you forget your password so make sure they are answers you will remember. (Optional) Provide an alternate email address. 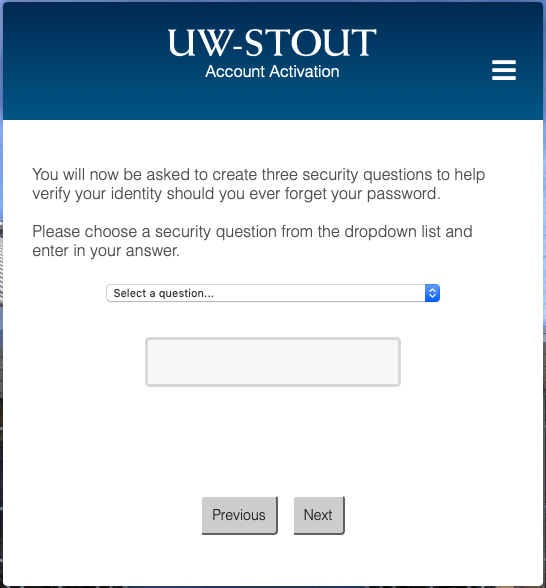 This is used in the event you have forgotten your security questions. Create a strong, memorable password. 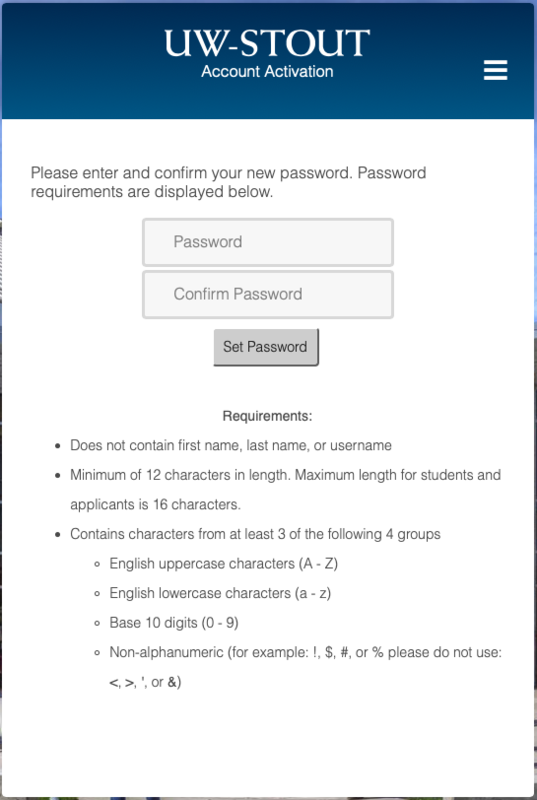 Please keep in mind the password requirements. 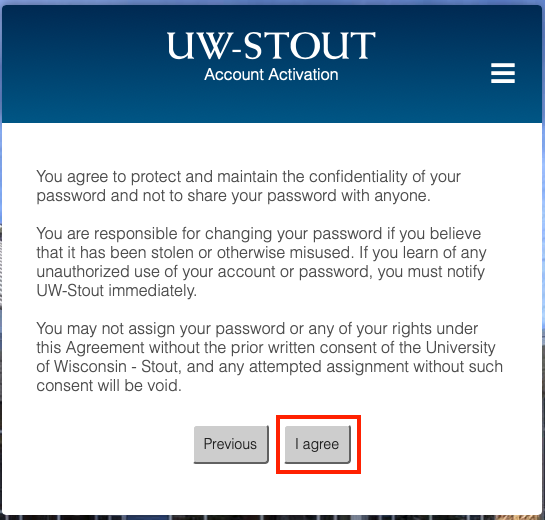 Enter the password twice and select Set Password. You will receive a confirmation that your account has been activated. The message will provide you with your campus Username and email address.